This film tells the unusual story that lies behind the making of Elvis Presley’s first album for RCA Records, in 1956, and his meteoric rise to Superstardom. In Memphis, Sam Phillips, founder of Sun Records, gives the inside story of those groundbreaking days when he auditioned, produced and befriended Elvis. Scotty Moore (guitar) and D.J Fontana (drums), describe how they helped ‘EP’ record his new album in Nashville and New York, aiming for ‘feel, not perfection’. They recall, with rare home movie footage, how they toured ‘400 miles a day’ in Elvis’s Pink Cadillac, rehearsing the songs that Elvis would immortalise in that first album. Dixie Locke, then Elvis’s steady girlfriend, describes how shy, mercurial and glamorous the young Elvis appeared, and how he coped with new-found stardom. Record producer/historian Ernst Jørgensen and biographer Peter Guralnick describe of the shock impact of 20 year old Elvis and the astonishing simplicity of this album’s execution. Musicians B.B. King and Keith Richards tell us what made Elvis the new King of Rock ‘n’ Roll. The film is filled with performances from ’55 and ’56, interview with Elvis and rare home movie footage of him at play and work, offering fresh insights into his life and his recordings. Featured songs include Blue Suede Shoes, Shake Rattle and Roll, Tutti Frutti, Money Honey and Elvis’ first million seller Heartbreak Hotel. Also songs from his early Sun sessions: Mystery Train, Baby Let’s Play House and That’s Alright. 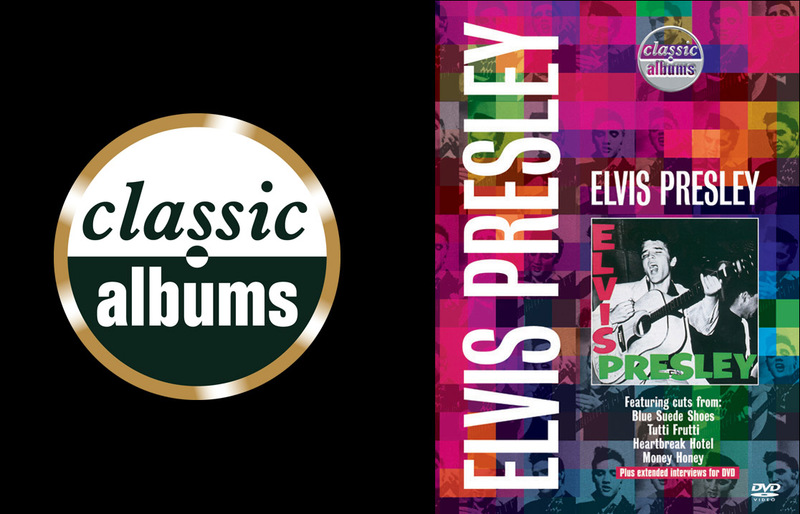 ELVIS PRESLEY is a truly Classic Album, one that changed forever the look and sound of popular music.